Blewbury is a medium-size English village which enjoys a high standard of living and quality of life, and has a tradition of interest in and caring for its environment. Community concerns about the environment led to the formation in 1993 of the Blewbury Village Society Environment Group (BVS-EG), acting as a forum for discussion and action on topics related to the village and its environment – including the village fabric, amenities such as footpaths and open spaces, springs, streams and the natural habitat. During the first decade of the new millennium the BVS-EG initiated several actions relating to the Parish Plan. Our environmental work was brought together in 2006 with the publication of a book, A View from the Hill. Increasing awareness of concerns around climate change and a need to switch to non-polluting sources of energy led in 2005 to the formation of the Blewbury Energy Initiative – the first of a family of new village initiatives relating to sustainable living and coping with climate change, as well as looking after our environment. In order to better reflect the emphasis on sustainability, in 2009 the BVS-EG was renamed Sustainable Blewbury. In 2012 it was agreed to operate as an organisation independent of the Blewbury Village Society, and Sustainable Blewbury now has its own constitution, approved at our AGM in April 2012. The constitution was modified at the following AGM, on 12 April 2013, to add trustees (currently Hugh Osborn and Steve White) – this was needed to allow us to enter into leasehold agreements and other legal arrangements. it was amended again on 15 April 2015 to ensure that funds are used only for the aims and objectives of the organisation, and to require that if the organisation is wound up any remaining assets must be given to charity or to a non-profit organisation – this was needed in order to obtain a grant from the Heritage Lottery Fund. 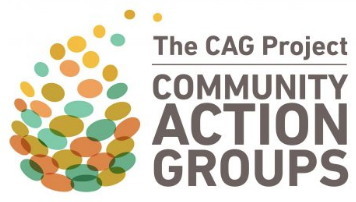 We are affiliated to CAG (Community Action Groups) Oxfordshire, and join a growing wider regional and national movement of communities small and large striving for lower carbon standards of living. There is a short video about CAG here. In 2014–16 most members of our Core Group were involved in gathering information, consulting the village and preparing the Blewbury Neighbourhood Plan, which was approved by a village referendum in November 2016 and is now an integral part of the planning process for the village. However, some of our present projects straddle these categories. We wish to involve the whole village, and welcome participation from all those with suggestions and ideas on how we can adapt to more sustainable ways of living. Our ambitions outstrip our resources – we need more helpers. If you are interested in getting involved with a project, please make contact with the project leader or email info@sustainable-blewbury.org.uk. The only data we hold is our Sustainable Blewbury supporters list. This is simply a list of names and email addresses of people who have said they wish to receive our newsletter and occasional items about our events and other information of interest. In the jargon of the General Data Protection Regulations this is classified as ‘legitimate interest’. People who wish to be deleted from the list have only to contact us at info@sustainable-blewbury.org.uk. Formal details are listed here. In the Domesday Book Blewbury is recorded as containing a church, 89 households and four water mills – two of which were in the current Parish of Blewbury. 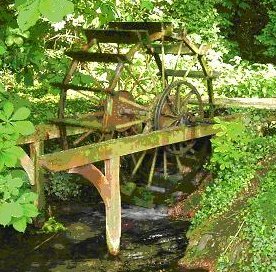 This water wheel was installed in the late 19th century by Eli Caudwell to provide electricity for Ashbrook House. It was the first use of electricity in the village.